Elegant Nikki set includes a moonlike collar necklace and semicircle earrings. 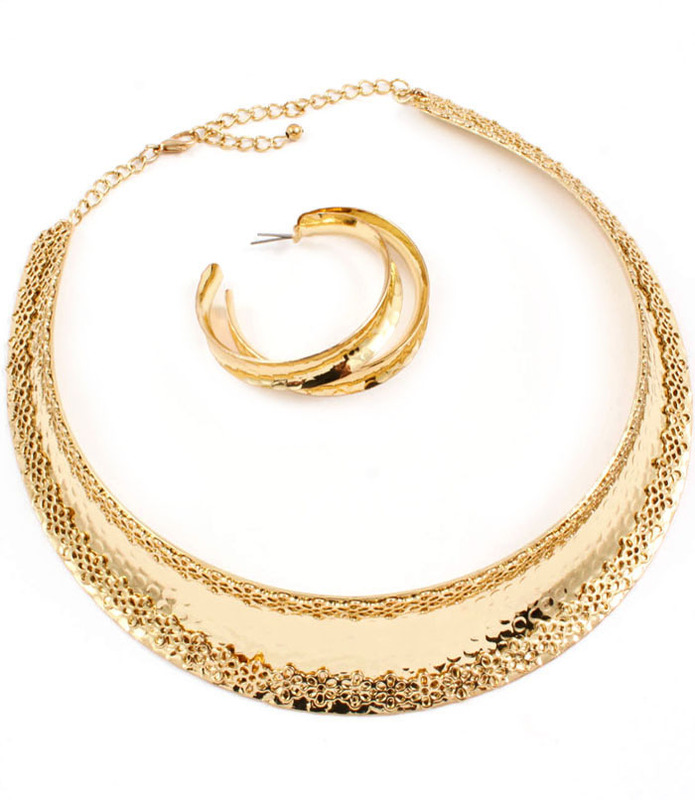 The set is made of hammered gold metal. The edges of the necklace are trimmed with subtle floral pattern. Adjustable chain length. Shop today from one of Australia's favorite jewellery stores. Quality is guaranteed with our hassle free exchange policy.